Jewelry brand SOKOLOV is a well known brand all over Russia that began its history in 1993. 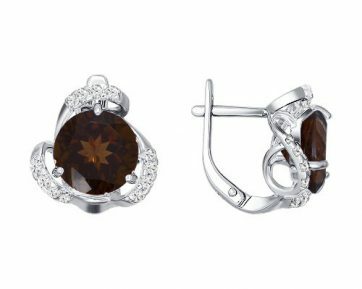 The brand’s products are created at Russia’s largest jewelry factory and are presented in more than 6 000 multi-brand shops in twelve countries. 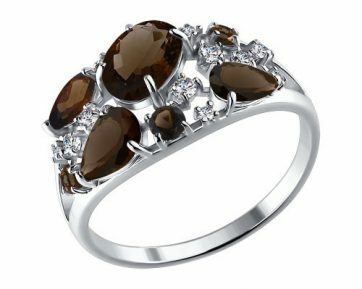 SOKOLOV creates more than 30 000 models of jewelry products of exceptional quality at a reasonable price. SOKOLOV’s own retail network is located in Switzerland. The shops of the brand are presented in Bern, Lucerne and Fribourg. SOKOLOV’s stores rightfully become decorations of the cities where they are located. 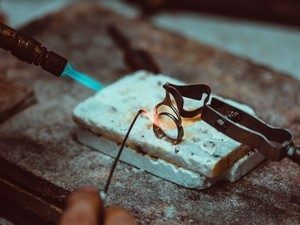 The jewelry production is located in the heart of the country; Red-on-Volga, Kostroma region, a place which is rightly called the jewelry capital of Russia. It produces about 49% of all jewelry created in the Russian Federation. 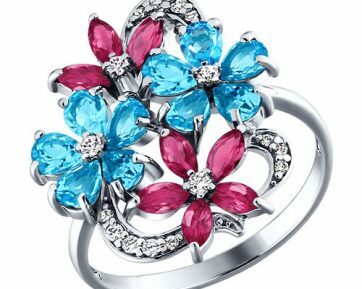 More than 6 million jewelry products of the brand are created per year, and more than 24 thousand per day! 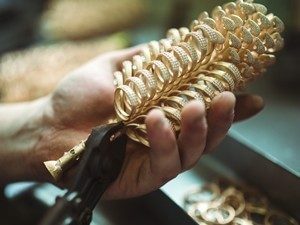 According to the Assay Inspection of the Russian Federation, the plant has been officially recognized as the number one jewelry manufacturer in the country since 2011. The industrial complex is the largest in Europe and covers an area of over 26 thousand square meters. It employs more than 1800 professionals who care about each ornament. SOKOLOV is a jewelry company with a long history. 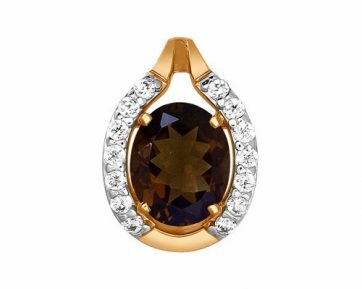 A small family jewelry shop has grown into an international company. 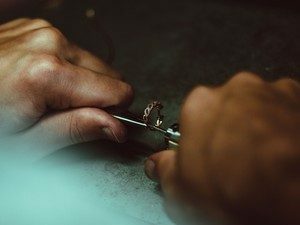 Jewelers of SOKOLOV combine modern technologies and traditional manual work. 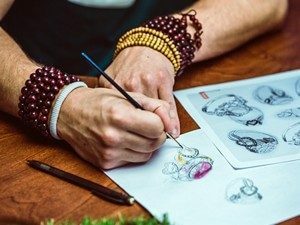 Artists develop design of ornament, considering global trends and interests of buyers. 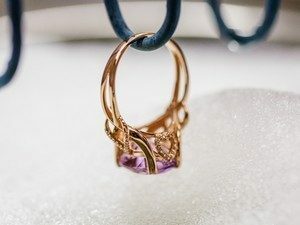 Experts of the company think much of every, passing through their hands, jewelry, putting heart and soul in each ornament. The history of SOKOLOV jewelry begins with the emergence of a pencil sketch to transfer the idea of the artist. For a detailed study and creation of the technical drawing, important for the subsequent production phases, the sketch is transferred to the computer and is brought to perfection using a tablet and a feather. 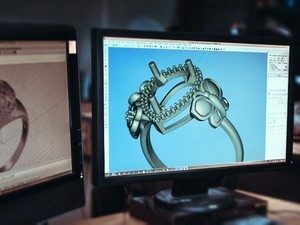 Technical drawing, created by jewelry artist, falls into the hands of 3D-designers who show considerable creativity, creating a three-dimensional model ornaments in a specialized computer program. Specialists in computer modeling work in contact with the artists to completely transfer their concept. Developed by 3D-designers, the computer file is transferred for prototyping of a product. Future jewelry is “grown” in a special 3D-printer from a polymer or wax. The model, created by the equipment, is finished by a fashion designer for future casting. 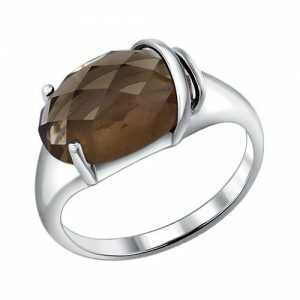 Irrespective of what metal will be used to create the jewelry, for the first time it appears in silver. A set of prototypes of various products are put onto wax cores and cast in silver. After the final completion by the fashion designer, this sample becomes а master model; a prototype of the future jewelry edition. The master model is used by jewelers to obtain the mold. The prototype is dipped into special plastic substance, formed and sent to the furnace where at high temperature the substance hardens to a condition of rubber. The compression mold is accurately cut and the master model is taken out. Modelers densely clamp the compression mold into which melted wax is injected under pressure that instantly hardens. The prototypes of future jewelry are put onto a wax core, getting a fir-tree resembling template for casting. The wax fir-tree is put into a special device for molding — a casting-box. It is filled with the molding material and goes into the oven for a few hours, where the gypsum hardens and the wax models are melted. The casting-box is removed, cooled down, and then filled with prepared jewelry alloys. After casting, the solid mass is washed off, and a golden fir-tree appears. Later it is processed and sent to further development. 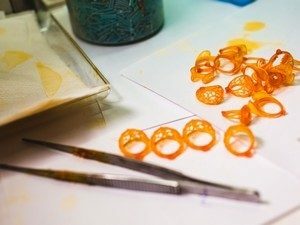 Newly casted jewelry is matte and lacks luster. 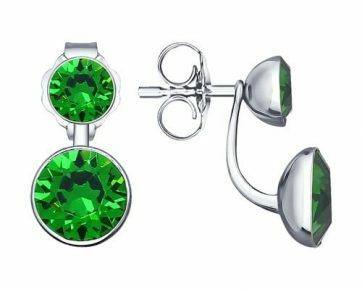 Future jewelry is lowered into special moving drums where products are polished in the special mass consisting of small particles. After polishing, the ornament gains gloss, worthy of a precious metal — gold. 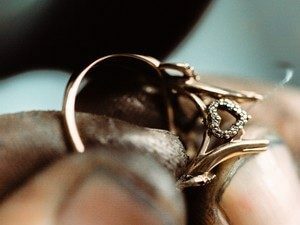 Complex jewelry consisting of component parts is sent to the mounting section, where, for example, a decorative part and a lock of earrings get linked, ringlets for putting on a bracket get connected to a chain. Also complex bracelets are assembled and many other operations are carried out there. Durability of assembly is strictly checked by quality control. 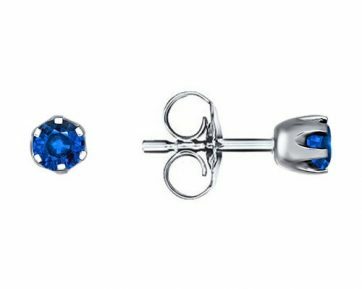 Fastening of jewels is one of the most time-consuming and demanding stages of jewelry production. Skilled experts work under a microscope, accurately placing insertions, from fianites to diamonds, into special platforms and fix them. At this stage, solely professionals with great experience carry out this process, guaranteeing durability and reliability of the fastening. 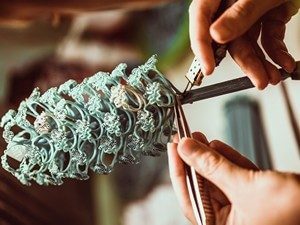 To give a bright noble gloss, the decorations made of white metal are coated with rhodium, a platinum group metal, and more valuable than gold itself. The products are dipped into a galvanic bathtub where, as a result of chemical reaction, they become covered by an even layer of metal. 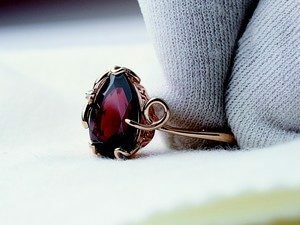 Products made of red gold; as a rule, the places of fastening of insertions are coated with rhodium, using a special pencil. At the final stage the decorations are carefully checked by quality control services. Only the products that correspond to strict standards receive SOKOLOV’s laber, which is the certificate of the ornament. 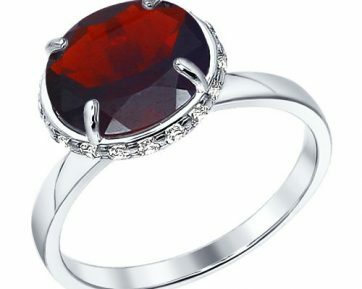 After that, the jewelry products go to the best jewelry stores of Russia. SOKOLOV jewelry is a real masterpiece of Russian masters. 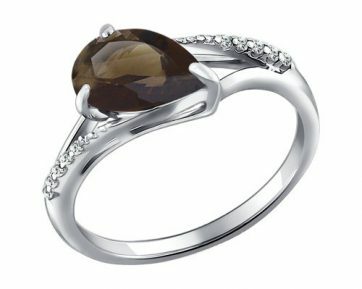 SOKOLOV’s designer jewelry is distinguished by the highest quality, modern design, elegance and individuality. Every woman, regardless of style and age, will find something special and individual for her. 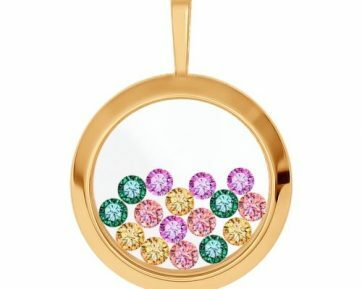 White, pink and yellow gold, silver, platinum, and also precious and semiprecious stones are used for jewelry production. 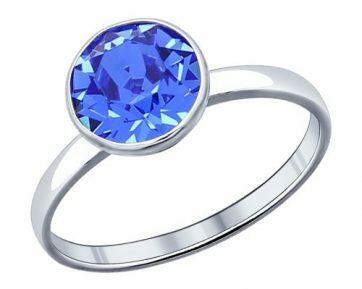 Jewelers of SOKOLOV use sapphires, diamonds, emeralds, rubies, topazes, pearls, grenades and other precious and semiprecious stones. 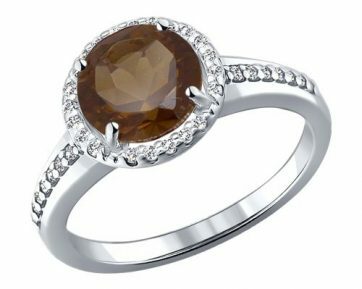 Large selection of materials gives the designers the ability to create truly exclusive jewelry. Attentive approach to the products of SOKOLOV is the principle of all staff of the company. 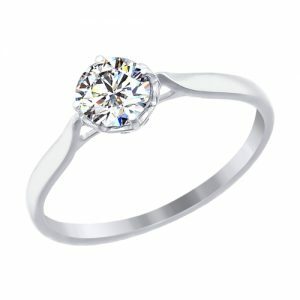 Professionals of the business, many of which are jewelers of several generations, work on the creation of the jewelry. The equipment installed at the production provides high accuracy of execution of the products. 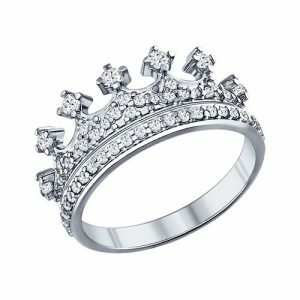 The jewelry is checked at each production phase, guaranteeing the best quality. Jewelry inserts are supplied by the largest companies. 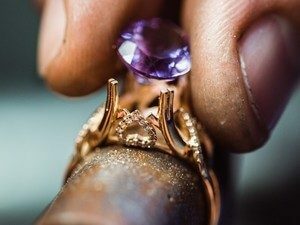 Gemologists manually inspect the stones to meet the strict requirements of SOKOLOV. Much attention is paid to optical performance and the quality of the cut. Precious metals like gold and silver are purchased exclusively from banks. This guarantees the authenticity of the origins of the metals. Additional metals for jewelry alloys are bought in ready mixes from the leading producer in Italy. Each SOKOLOV ornament has two hallmarks guaranteeing authenticity. All the products are controlled by the State Assay Inspection, and receive a stamp. This print confirms that the product contains the declared amount of gold or silver. 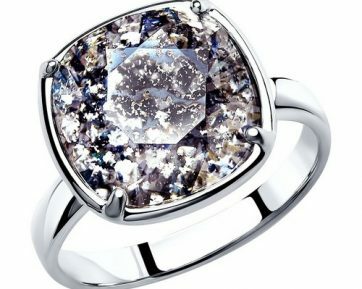 The second hallmark shows the information about the producer which allows defining what company has produced the jewel.